ISAM 9.0.4, released in December 2017 introduces several new capabilities for ISAM customers. One of these is the ability to run ISAM in containerized environments using Docker. 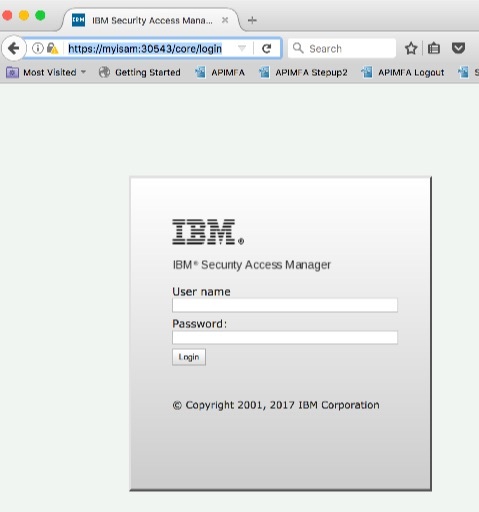 This article is all about showing you how to get IBM Security Access Manager (ISAM) running on a small Kubernetes cluster on IBM Cloud. With a bit of pre-reading and the right tools in place I believe you can get ISAM up and running on IBM Cloud in minutes. Read on if you want to know how to do that. Credits: I would like to acknowledge Scott Exton, Jon Harry, Scott Andrews and Tiffany Guan who have directly or indirectly contributed content to this article. It will help a lot of you know what ISAM is, and have used it before in physical or virtual appliance form. You should have basic shell scripting experience in bash, understand environment variables and be comfortable working on a linux command line. You should work through the Kubernetes tutorials (https://kubernetes.io/docs/tutorials/) so that you understand the fundamental of Kubernetes – clusters, deployments, pods, containers, services and secrets. You should have a paid or trial account on IBM Cloud (https://www.ibm.com/cloud/) – a free trial is available and we will only be using the features available in the free trial in this guide. In this section we’re going to go through the set of command-line tools that you will need to work with containerized ISAM and the IBM Cloud. Our example will be using an Ubuntu Linux base operating system, and we recommend either Linux (or a Mac) for simple scripting and command line tool use. Besides just the installation and basic verification that the tools are working, we will also show you some key commands that you need to discover information about your Kubernetes cluster, including finding your cluster’s public IP address so that you may expose your ISAM server to the internet. 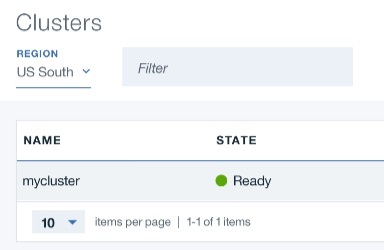 There are two container registries provided by Docker, Docker Hub and Docker Store. Docker Hub contains completely freely accessible images (no authentication required) – and this is the location where the OpenLDAP and Postgresql images used in this article reside. Docker Store has controls for accepting terms and conditions, and optionally for fees. Credentials are needed to access images in Docker Store, and the terms and conditions for a particular image need to be accepted before you can pull that image. The core ISAM image resides in Docker Store. There is no fee for this image, but you do have to register a Docker account, accept the terms and conditions for the ISAM image and “Proceed to Checkout”. This will ensure you have correctly subscribed to the image so that you can download it from deployments in your Kubernetes cluster. You can also setup long-lived API key access for bx login if you are looking for at scripted solutions for the steps shown in this article. In the examples used in this article we will use the cluster name mycluster. In this example my public IP is 50.23.5.169. We recommend that you put this IP in your local machine’s /etc/hosts file and give it a hostname. In this article we will do just that, and refer to the host myisam throughout the rest of this article. Obtain the kubectl configuration required for your Kubernetes cluster. The configuration for mycluster was downloaded successfully. Export environment variables to start using Kubernetes. Here’s a set of useful commands using the command line tools. These are the commands we frequently find ourselves “going to” when working with IBM Cloud container services and ISAM. The following diagram depicts the various containers which are used in the ISAM environment, as well as the network ports which are used by the provided services. All of the container to container communication will take place over the internal Kubernetes cluster network. IP addresses on this network will be automatically assigned by Kubernetes when a container is first started, however we never really need concern ourselves with the cluster network IP addresses since all internal cluster communications will be managed by Kubernetes services – which are exposed via an internal DNS service. External communication via the internet (outside the private cluster network) will be provided by the Kubernetes NodePort service, where each node will proxy requests from the advertised port to the internal container port. In a standard Kubernetes environment the LoadBalancer service would be used, which allows requests to be load balanced between different pods however this type of service is only made available to paid IBM Cloud accounts. NodePorts have a restricted range, which is why you see the 30636, 30543 and 30443 ports in use. The isamconfig container is used to manage the configuration of the ISAM environment. All configuration changes are made against this container and the configuration information, once published, is made available to the isamwebseal and isamruntime containers via the configuration Web service (i.e. the isamwebseal and isamruntime containers, when triggered, will pull the configuration information from the isamconfig container). Really, the only external service that we need to publish for this article is the port to isamwebseal. The openldap port is only exposed to allow external tools access (like ldapsearch, ldapmodify, etc) from your local machine – you can safely decide to not expose that if you wish. Similarly the isamconfig external port is only exposed to allow direct browser access to the ISAM administration console. We will show you an alternative way to connect to the administration console using Kubernetes port fowarding when we deploy that container. In any case it’s very important to plan out your deployment topology. It can get a little confusing if you don’t write down your intended architecture before you start deploying containers. In this section we will walk through the Kubernetes deployments described in the above architecture. Along the way we will show you how to test that each step of the deployment has been completed successfully. We will be using secure connections to the LDAP server, and as such we have to provision certificates for it to use. The certificate files are then bundled into a Kubernetes secret. You can create scripts to do all this very quickly, however in this guide we will walk you through the verbose process so you have a complete understanding of what is involved. kubectl create secret generic openldap-keys --from-file "ldap.crt" --from-file "ldap.key" --from-file "ca.crt" --from-file "dhparam.pem"
Note that the example YAML file includes a NodePort for exposing the LDAP server on the internet. This is not strictly required, and is only done so that it is possible for you to test an LDAP search from outside the cluster. You can choose to comment out the nodePort entry of the service if you do not wish your LDAPS port to be exposed to the internet. ldapsearch -H "ldaps://myisam:30636" -D cn=root,secAuthority=default -w Passw0rd -b "dc=ibm,dc=com" -s sub "(objectclass=*)"
kubectl exec -t openldap-3757380541-g6q33 -- ldapsearch -H "ldaps://localhost:636" -D cn=root,secAuthority=default -w Passw0rd -b "dc=ibm,dc=com" -s sub "(objectclass=*)"
Either way, you should see the ldap output of a couple of ISAM entries. Your LDAP server is now ready for use with ISAM. We will be using secure connections to the Postgresql server, and as such we have to provision certificates for it to use. The certificate files are then bundled into a Kubernetes secret. You can create scripts to do all this very quickly, however in this guide we will walk you through the verbose process so you have a complete understanding of what is involved. kubectl create secret generic postgresql-keys --from-file "server.crt"
bash-4.3# psql -U postgres -p 5432 isam -c "select * from OAUTH20_TOKEN_CACHE;"
This indicates the postgresql server is running and that one of the ISAM schema tables can be accessed. Your Postgresql server is now ready for use with ISAM. Note – if you do not subscribe to the image, you will not be able to be able to deploy it to your Kubernetes cluster. A Kubernetes YAML file (isamconfig.yaml) is used to create the deployment and service for the ISAM Configuration Container. It also creates a secret that will be used by the Web Reverse Proxy (WRP) and Runtime containers to connect to the configuration service URL of the configuration container. Note that the service used in this example uses a public NodePort 30543. This will allow us to connect to the ISAM local management interface using a browser over the internet. Typically you may not wish to do this, and instead it’s quite ok to not use a NodePort for this service. In that case just comment out the nodePort line if you don’t want to expose the local management interface (LMI) externally. Later in this section we’ll show you an alternative way to connect to the management interface using kubectl to port-forward to the management interface port. You should observe that the deployment, service and secret are created. Check on the status of the deployment, and ensure that the pod status is Running. The pod may spends a few minutes in the ContainerCreating state due to the requirement to download the large ISAM image from Docker Store. You can even login at this point (admin/admin) and start basic configuration if you wish. The ISAM configuration container is now deployed and ready for use. Even though we have not yet configured ISAM and created the reverse proxy instance using the configuration container, given that we know we are going to create one, we can “pre-deploy” the deployment that will run WebSEAL (now called the Web Reverse Proxy or WRP). Of particular important is the WRP “name”, and in this example we will use default. When we perform this deployment, the WRP container will poll the configuration service of the configuration container waiting for a snapshot to be available for it to download and use. The configuration service is a special endpoint exposed on the isamconfig container that the other ISAM containers use to pull down copies of the configuration snapshot. Until the snapshot is available the WRP container will be in a bootstrap loop continuing to poll. Also until we actually modify the special cfgsvc user on the configuration container to set a password and enable the account, the polling will actually fail because of authentication errors. This is normal given we have not yet performed ISAM configuration. The WRP deployment uses the same ISAM image as the configuration container, and environment variables control the personality under which it runs. As such, the Kubernetes secret containing your docker credentials that was used for the configuration container should already be in place and be used by this deployment. You should observe that the deployment, service and secret are created. Check on the status of the deployment, and ensure that the pod status is Running. This pod should come up very quickly since the ISAM image will be cached from when the configuration container deployment was performed. You can observe the startup log of the WRP container using kubectl. At the moment it should be showing authentication errors to the configuration service URL of the ISAM configuration container because the cfgsvc username and password that is being used has not been configured on the configuration container yet. 2018-01-05T09:55:32+1000: ---- Downloading data from the configuration service. 2018-01-05T09:55:35+1000: startup will wait for the service to become available. This is enough to indicate the WRP container is running and awaiting a configuration snapshot. The ISAM Runtime Container (called isamruntime, or ISAM Liberty Runtime) is very similar to the WRP Container – it’s a personality of the ISAM image that runs the advanced authentication, context-based access and federation services. The isamruntime container also retrieves a snapshot from the configuration container in same manner as the WRP container. The only real difference here (besides the technical function of the container) is that this container has no need to listen externally on a NodePort. Instead it only exposes it’s HTTPS interface on the cluster network via the isamruntime service. You should observe that the deployment, service and secret are created. Check on the status of the deployment, and ensure that the pod status is “Running”. This pod should come up very quickly since the ISAM image will be cached from when the configuration container deployment was performed. The bootstrapping logs for the runtime container can be observed using the same technique as shown for the WRP container (just use the runtime pod name). This completes deployment of the runtime container. All of these steps can be automated via the ISAM management API’s as part of a scripted devops process, however for the purposes of this article we’ll illustrate via the management console. There is some expectation of familiarity with the ISAM management console in the instructions shown here. Now we will enable Management Authorization Roles, and update the password for the cfgsvc user. This step is to setup the built-in LMI user account that is used by the WRP and runtime containers to obtain snapshots. Navigate to Manage System Settings->Management Authorization. Move to the Users tab, select the cfgsvc user, and press Set Password. Change the password to Passw0rd. This needs to match the password set for the configuration service secret created when we deployed the isamconfig container. Deploy pending changes when complete. Error: WGAWA0664E No published snapshots are available. You may recall that when setting up the Postgresql and LDAP containers we created private/public key material for these containers. In order for ISAM to be able to connect to the database and LDAP services, the public keys for TLS connections need to be imported into ISAM trust stores. postgres.crt lmi_trust_store Used by the management console application (isamconfig container) to connect to the runtime database. postgres.crt rt_profile_keys Used by the isamruntime container to connect to the runtime database. ldap.crt lmi_trust_store Used by both the isamwebseal and isamruntime containers to connect to the LDAP server. In the management console, navigate to Manage System Settings -> Database Configuration. Address postgresql This corresponds to the Kubernetes Service that was created when the postgresql container was deployed. The service name becomes a DNS entry in Kubernetes DNS and can be resolved by other deployments in the same cluster. Username postgres The username and password are configured via environment variables that are embedded in the postgresql.yaml file. Database name isam The database name is also configured via an environment variable in the postgresql.yaml file. Save and deploy those changes. This should be a very familiar set of operations for ISAM administrators. Select LDAP Remote, then Next. Administrator Password Passw0rd This is for establishing the sec_master password. SSL Server Certificate Lifetime 1460 This is the default – leave it. 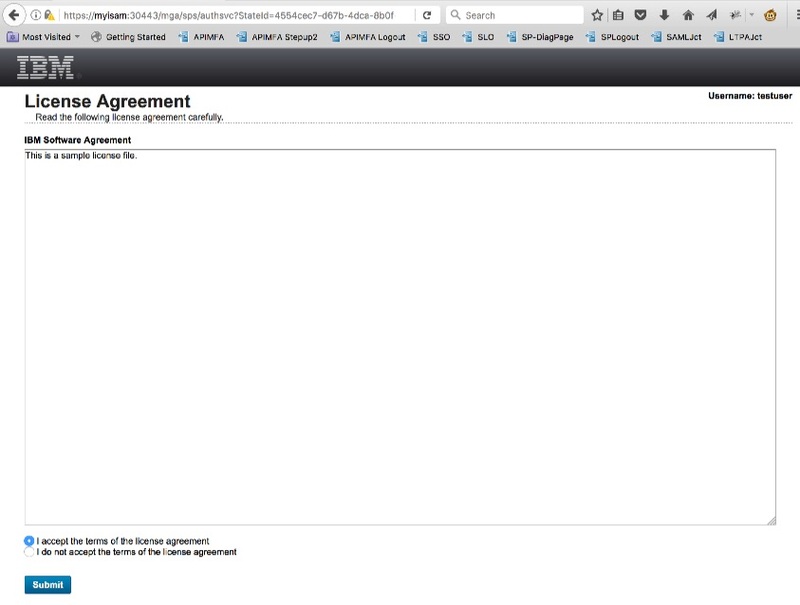 SSL Compliance FIPS 140-2 This is the default – leave it. Host name openldap This corresponds to the Kubernetes Service that was created when the openldap container was deployed. The service name becomes a DNS entry in Kubernetes DNS and can be resolved by other deployments in the same cluster. DN cn=root,secauthority=default This is the root DN for our OpenLDAP container. Password Passw0rd Password as established in the openldap.yaml file. Certificate Database lmi_trust_store The certificate database into which we imported the ldap.crt file. Certificate Label <leave blank> This is only used for mutual TLS connections. This can be done with the web portal manager application built into the ISAM console (Secure Web Settings -> Policy Administration) however in this section we will show you how to use the command line tools on the configuration container to perform this step. Navigate to Secure Web Settings -> Reverse Proxy. Instance Name default This must match the value defined in the isamwrpdefault.yaml file for the INSTANCE environment variable. Hostname isamconfig-XXXXX This should be pre-filled with the pod name. You can leave it as it’s default value. User Registry: Key File Name lmi_trust_store The certificate database into which we imported the ldap.crt file. User Registry: Certificate Label <leave blank> This is only used for mutual TLS connections. User Registry: Port 636 This will be the connection to the openldap service over the cluster network. Even though the default WRP is now configured, it won’t be running under the isamwebseal deployment container yet because we have not performed a publish snapshot. We will do that now, in part because it is required for the following step which is to load the SSL certificate of the isamruntime server endpoint into the pdsrv certificate database for SSL junctioning purposes. At this stage deploy any pending changes, then navigate to Container Management -> Publish Configuration. It is a useful exercise to monitor the logs of both the isamwebseal and isamruntime pods when doing this to watch the bootstrapping process taking place. 2018-01-05T15:17:41+1000: ---- Data has been downloaded from the configuration service. [1/5/18 15:19:46:267 AEST] 00000021 com.ibm.ws.kernel.feature.internal.FeatureManager A CWWKF0011I: The server runtime is ready to run a smarter planet. At this stage you can also test authentication to the WebSEAL reverse proxy. You should be able to login with testuser/Passw0rd. First we need to import the SSL cert of the isamruntime service into the pdsrv certificate database so that an SSL junction can be created between the WebSEAL reverse proxy and the isamruntime server. 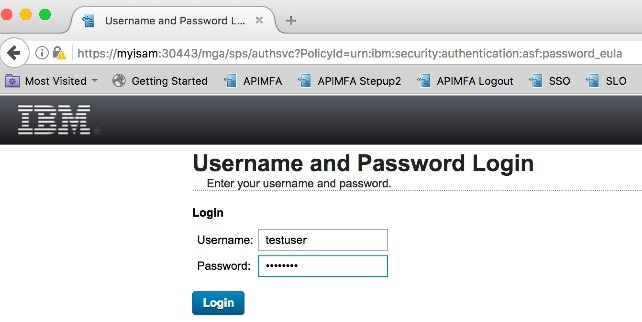 Using the management console navigate to Manage System Settings -> SSL Certificates. Deploy that change. This allows an SSL junction to be established between the WebSEAL reverse proxy and the isamruntime in the next step. A junction to the Security Access Manager server will be created at /mga. Now we will configure one of the authentication mechanisms so that we can demonstrate it as part of a runtime test. You can configure any advanced access control authentication mechanism that you like however for our demonstration purposes we will configure the Username Password authentication service mechanism (which tests the isamruntime connection to LDAP), and then then use an existing policy which combines Username Password authentication end End-User License Agreement. LDAP Host Name openldap This corresponds to the Kubernetes Service that was created when the openldap container was deployed. The service name becomes a DNS entry in Kubernetes DNS and can be resolved by other deployments in the same cluster. Save the mechanism settings and deploy pending changes. Deploy any pending changes, then navigate to Container Management -> Publish Configuration. This will create a new snapshot on the configuration container, however this will not be automatically loaded by the isamwebseal and isamruntime containers. They DO automatically load their FIRST snapshot – this is part of the initial bootstrap process, but thereafter you need to issue explicit commands to force those containers to reload the snapshot. 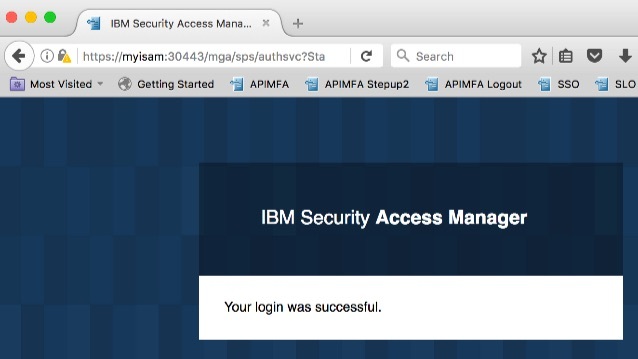 Congratulations – You have now successfully deployed and tested an end-to-end scenario using ISAM with the web reverse proxy, then ISAM runtime for advanced access control (specifically a multi-step authentication service scenario). Containers that need long-term persistent storage (specifically LDAP and the Postgres containers – and even the ISAM container if you aren’t careful to backup your snapshots) are using emptyDir volumes. This means that when the deployment/pod is destroyed, so is the persisted content. There are some scenarios (such as federated directories and scenarios that don’t require persisted data in the runtime database) which won’t be affected, however the majority of real ISAM use cases require persisted user registry and runtime data. In a paid account you would use a persistent volume to store the OpenLDAP and PostgreSQL data, and make these services highly available. In fact you might not use OpenLDAP or PostgreSQL at all and may choose to use enterprise LDAP and DB deployments. Our free Kubernetes cluster (Lite profile) is a single worker node. Production Kubernetes clusters should have a minimum of 3 worker nodes – this comes from the Kubernetes documentation. It is an interesting exercise to be able to tear down and re-create environments quickly once you have successfully configured a scenario. You can do this, even with the demonstration scenario we have created in this article. ubuntu$ kubectl exec -t postgresql-1163409656-d91rz -- su postgres -c "/usr/local/bin/pg_dump isam -f /tmp/isam.db"
You now have all the data (ISAM snapshot, OpenLDAP, PostgreSQL) that you need to restore this environment either in the same cluster or a new cluster. It’s ok to ignore the error about the configreader secret already existing. Confirm all pods are in the Running state (the pod names will be different) before continuing. ubuntu$ kubectl exec -t openldap-3757380541-mtb01 -- ldapadd -c -f /tmp/secauthority.ldif -H "ldaps://localhost:636" -D "cn=root,secauthority=default" -w "Passw0rd"
ubuntu$ kubectl exec -t openldap-3757380541-mtb01 -- ldapadd -c -f /tmp/ibmcom.ldif -H "ldaps://localhost:636" -D "cn=root,secauthority=default" -w "Passw0rd"
Restore PostgreSQL data by copying the database backup file to the new container and performing a psql command to load it. ubuntu$ kubectl exec -t postgresql-1163409656-j890f -- su postgres -c "/usr/local/bin/psql isam < /tmp/isam.db"
ubuntu$ kubectl exec -t postgresql-1163409656-j890f -- psql -U postgres -p 5432 isam -c "select * from user_attributes;"
ubuntu$ kubectl exec -t isamconfig-2467259294-47ht4 -- bash -c "echo admin:Passw0rd | chpasswd"
Perform a special version of the reload command on the isamconfig container to force it to recognize and load the restored snapshot. This will in turn result in the isamwebseal and isamruntime containers polling for and downloading the snapshot as well. [1/9/18 11:17:47:742 AEST] 00000021 com.ibm.ws.kernel.feature.internal.FeatureManager A CWWKF0011I: The server runtime is ready to run a smarter planet. The isamruntime container generally takes the longest to pickup the snapshot and start, so once it is running, the entire environment (including the isamwebseal container) should also be ready. You should be prompted to login with username/password, but not be required to accept the end-user-license agreement as acceptance data should be restored in the PostgreSQL runtime database. Congratulations – you have successfully restored the entire test scenario, including user and runtime database state, from a set of backed up data!